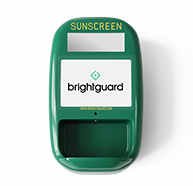 The weather resistant, touch-free sunscreen dispenser. Designed to fit in and stand out. 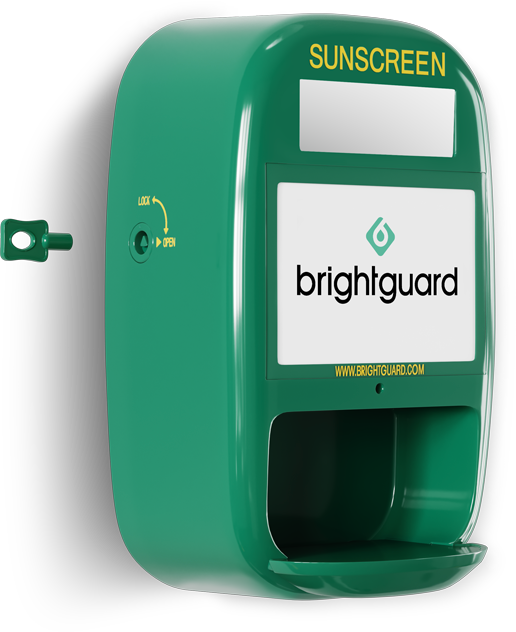 With a sturdy colorful cover, unbreakable mirror, infrared sensor, battery powered drip and high capacity sunscreen refills, BrightGuard dispensers are built to attract more users and withstand high usage. Avoid theft and tampering with a proprietary key. 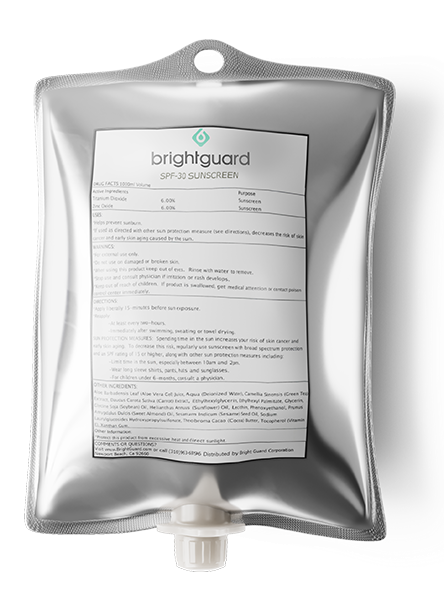 High capacity 1000ml sunscreen pouches made to easily change out. Automatic pumping mechanism for a clean, sanitary application. 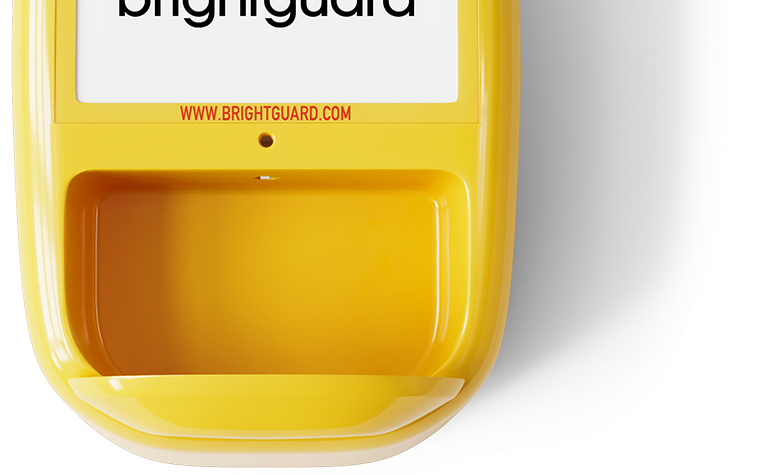 Simply install BrightGuard anywhere with a wall mount or optional portable stand kit. Our goal is complete customer satisfaction, we are here for you. 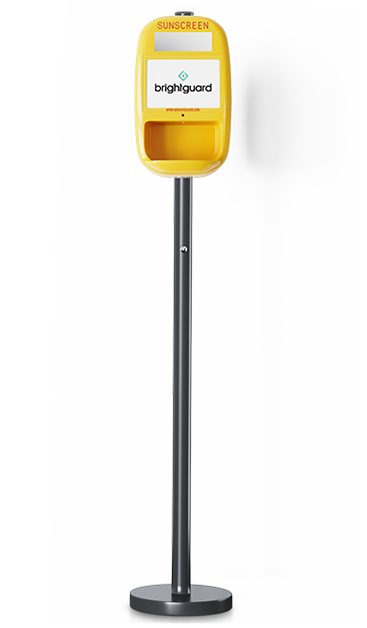 Ask us about overseeing your dispensers with dedicated maintenance. 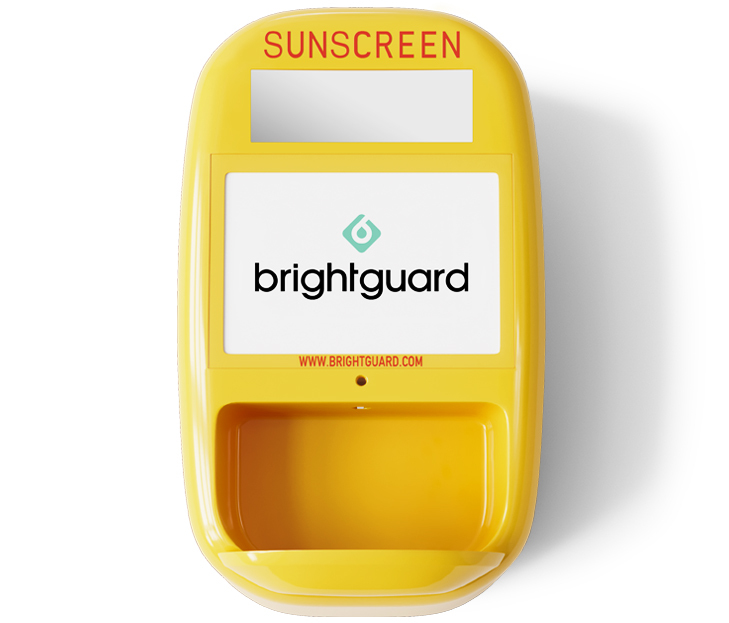 Order your touch-free sunscreen dispenser and sunscreen today.